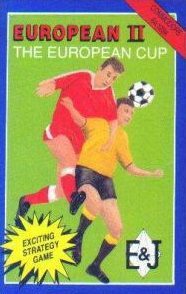 EUROPEAN II is another Great Strategy Game from E & J Software simulating a European Cup competition. Each Round including the Final is played over 2 legs and Away Goals count double if the scores are level. EUROPEAN II includes a SUPERB PENALTY SHOOT OUT FEATURE.